Make life a whole lot easier with this list of the handiest accessories for aviation industry employees. We’ve pooled our extensive experience of the industry and come up with a selection of absolute digital and analogue must-haves for pilots and cabin crew. Read on to find out more about our top picks. Having seen these in action at the ERA General Assembly 2018, we’re seriously excited about the new generation of HUDs. These devices enable pilots to view vital flight information – including graphics, images and video – through a high-transparency visor. New regulations and technological advancements have made these more useful than they’ve ever been. Not only will these make cockpits more intuitive, they’ll enable pilots to operate in more adverse conditions/out of airports without advanced infrastructure, and reduce reliance on airport instrumentation. The aviation industry is among the most advanced, but you still have plenty of paper documents to read and remember. With a pen scanner, you can quickly cast the device over a piece of paper, then store the information on a digital device as a PDF or image to be viewed later. Whether you’re a pilot or a flight attendant, on-board or disembarking on an overnight stay, there are countless exciting sights to document. You have two main options: a potent digital SLR camera, or a smaller, lighter and hardier action camera (think GoPro). Both offer different advantages depending on the environment you intend to use them in. Our phones and all the other electronic gizmos we carry around today will require a lot of juice. 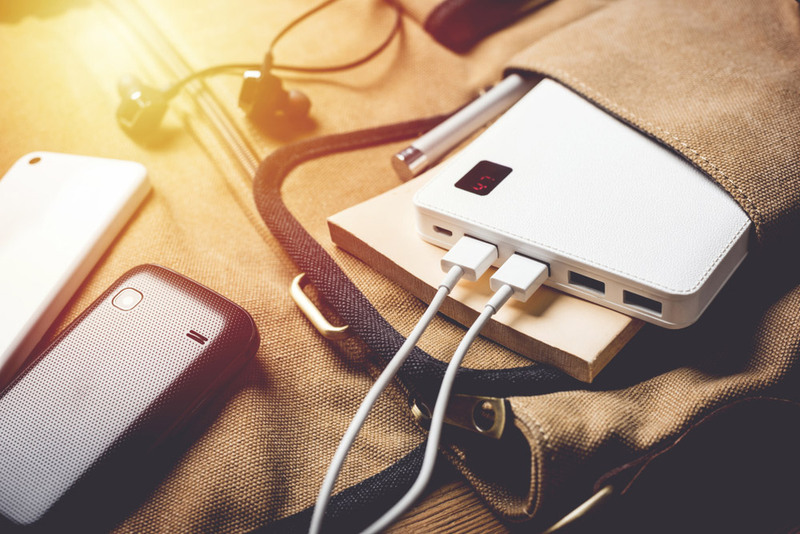 So, a high-spec, versatile power bank with plenty of charge capacity is a must. Whether using them in the cockpit or to make the most of your downtime, headphones are an incredibly handy accessory. Undoubtedly, the leader of the pack in aviation headphones today is the BOSE A20 headset. This lightweight (340g), Bluetooth-enabled headset increases noise reduction by 30% and reduces clamping force by around one-third. Best of all? They’re fully certified to all applicable FAA standards. You’ll live out of your travel bag for much of the time, so it needs to match your needs. Make sure there’s a protected space for your gadgets, as well as plenty of internal pockets for organising your items. External pockets are handy for things like water bottles and chargers. A handle extender for your travel bag can help reduce your risk of developing a back problem. These adjustable devices enable you to find the perfect angle for your travel bag and avoid you having to stoop when pulling it. Keep one hand free while transporting your bag and a hot drink by investing in a swinging cup. This simple strap hangs from your travel bag handle and keeps your drink upright as you walk through the airport. This specially-adapted pen features a pressurised cartridge that enables it to write effectively at any altitude. An expert aviation recruiter with the skills to help your career fly higher should be your ultimate accessory. Take a look at our epic selection of job listings or contact the expert AeroProfessional team.